Prosecutors in Northern Ireland have warned about speculating on imminent prosecution decisions over the soldiers who killed 14 civilians in Derry on Bloody Sunday in 1972. Sources had suggested that four former British paratroopers, now in their 60s and 70s, feared that they would be told on March 14 that they face murder charges in connection with the shootings. Fourteen civilians died and another 14 were wounded when soldiers from the UK’s Parachute Regiment opened fire on a civil rights demonstration in the city. Prosecutors in Northern Ireland will meet victims’ families on March 14 before making a long-awaited announcement on whether former soldiers will stand trial. The announcement follows a seven-year inquiry by Northern Ireland’s police and prosecutors – and will cause a huge political storm and a wave of protest whatever the decision. While some sources said they expect soldiers to be charged, no formal decision will be made until just before the press announcement. Victims’ families will be devastated if no murder charges are brought, while the prospect of dragging former soldiers aged in their late 70s into the dock will provoke accusations of betrayal in a Britain facing internal strife over Brexit. Eighteen former paratroopers have been under criminal investigation. One died just before Christmas but the surviving 17 – the oldest is 77 – could be charged with a variety of offences that include murder, attempted murder, grievous bodily harm and perjury. If found guilty of murder, they face life imprisonment. Under the Good Friday Agreement, terrorists subsequently convicted of atrocities committed during the Troubles can be jailed for a maximum of two years. Yesterday, the Northern Ireland Public Prosecution Service dismissed media reports in UK newspapers suggesting knowledge of the likely outcome of its deliberations on the Derry shootings. 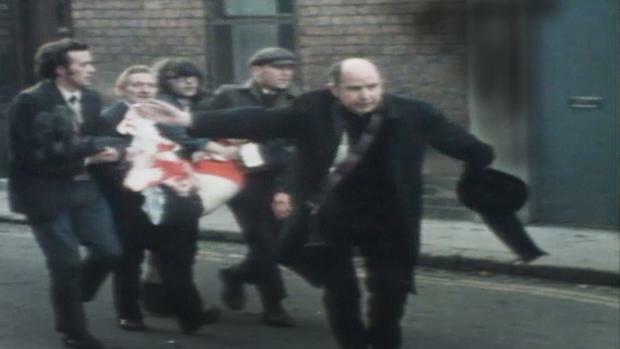 The PPS said second-guessing the decisions, which will be formally announced on March 14, was likely to cause “significant and undue distress” to families bereaved when paratroopers opened fire on civil rights protesters in Derry in January 1972. Thirteen people were killed on the day, with a 14th victim dying in hospital months later. A murder investigation was launched into the events of Bloody Sunday in 2012. A small team of senior prosecutors is handling the complex and highly sensitive investigation. It is understood special measures have been put in place to ensure their work remains top secret until the Bloody Sunday families are informed of the decisions. The PPS team is assessing evidence against 17 former members of Britain’s Parachute Regiment and two former members of the Official IRA who were also involved in Bloody Sunday. Yesterday, the PPS issued a statement after British newspapers reported that a number of former Parachute Regiment soldiers were set to be prosecuted for murder. A PPS spokeswoman said: “This is a wholly speculative article which is likely to cause significant and undue distress to the Bloody Sunday families. “The PPS is currently making arrangements for the communication of its decisions to all parties on March 14, 2019. The Police Service of Northern Ireland murder probe was initiated after a long-running government-commissioned inquiry, undertaken by Lord Saville, found none of the victims was posing a threat to soldiers when they were shot. Following the publication of the Saville Report in 2010, then prime minister David Cameron apologised for the British army’s actions, branding them “unjustified and unjustifiable”.